To go from strength to strength means “to become better and better or more and more successful.” This is God’s game plan for His people. To become better and better; to become more and more successful; to become more and more like Him. Our ultimate goal is to “grow in grace, and in the knowledge of our Lord and Savior Jesus Christ” (2 Peter 3:18). The NLT translates Psalm 84:7 this way: “they will continue to grow stronger and stronger and each of them will appear before God in Jerusalem.” This is the picture of the people of God. This is the report of the redeemed of the Lord. This is the story of the saints. Remember the Titans is the American sports drama based on the 1971 segregated T. C. Williams High School football team. The film centers on the true story of African American coach Herman Boone portrayed by Denzel Washington, as he tries to unite a racially divided team in the Washington, D.C. suburb of Alexandria, Virginia during the early 1970s. It is a top ten feel good sports film. If you haven’t seen it, watch it. It’s worth it. Herman Boone went from strength to strength. Boone is a black head coach who is hired to lead the school’s football team. Actor Will Patton portrays Bill Yoast, an assistant coach making a transition to help out Boone. The real life portrayal of athletes Gerry Bertier and Julius Campbell, played by Ryan Hurst and Wood Harris, appear within the harmonized storyline and vividly portrays individual effort and collective strength. Although Bertier could not play in the title game due to injury, the team goes on to win the State Championship. 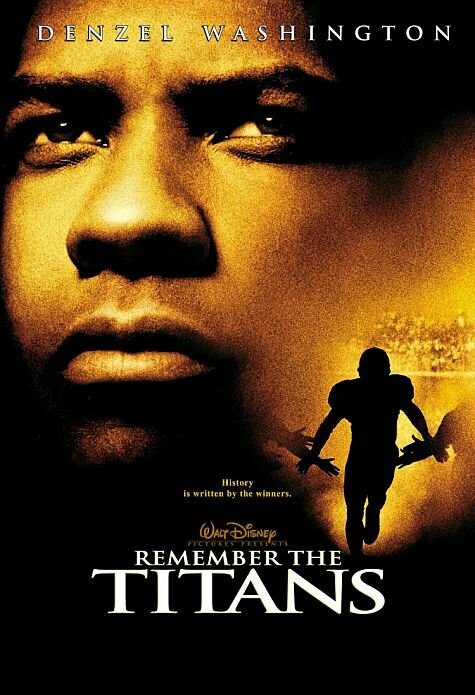 Remember the Titans explores civil topics such as racism, discrimination and athletics. The individual team members, the coaches, and the entire team collectively get better and better and stronger and stronger as the season wears on, as they conquer the hurdles that stand between them and the ultimate goal; a united, unified, unmitigated and unadulterated championship team. My Eagles have gone from strength to strength. They lost to the Dallas Cowboys in Week 7, way back on October 20th, 17-3. It was an ugly loss as ugly play plagued an even uglier game which the Eagles coulda’, shoulda’, woulda’ won had they played to their potential. Quarterback Nick Foles played erratically in his first full game of the season, as the Eagles went down to a Cowboys team that really wasn’t that good. Now, on the verge of winning the NFC East, my Birds are poised to do the unexpected; win the Division Title which no one, and I mean NO ONE, expected them to. Nick Foles and the Eagles indeed have continued to grow stronger and stronger this season. Now, it’s time to finish strong and seal the deal. So remember the Titans and remember what we are to do as saints; we are to go from strength to strength; we are to grow stronger and stronger as we long to appear before our God.